I have had so many beauty favourites in the past year that I just had to share them with you. I feel like 2017 was the year I really started to take notice of how important skincare is if you want to get the best finish on your makeup and turning 25 last year made me really conscious that I needed to start looking after my skin better. One of my main goals for 2018 is to find my holy grail skincare routine and stick to it, which we all know is a lot easier said than done. In regards to make up, in 2017, I have been a real 'stick to what you know' kind of gal, which I don't really want to do in 2018. Again, I want to find new products as I am a little bored with the ones I have already, but the make up I have been using has been so good that I haven't been searching for new products for a reason. 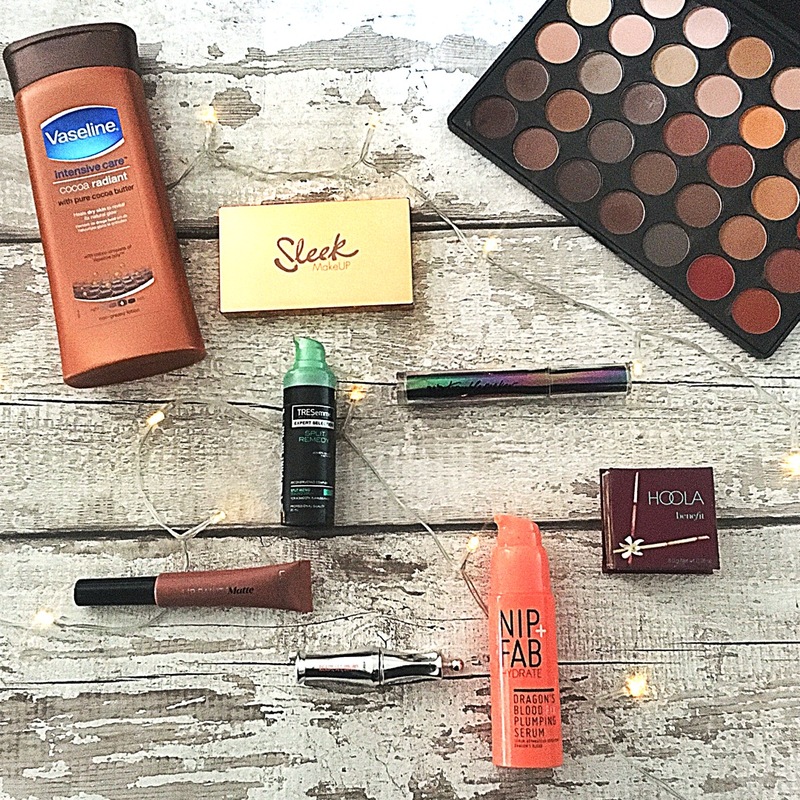 So, grab a cuppa and get stuck into my top beauty products of 2017 and I have even linked you to them so you can get your hands on them too. This serum has been my favourite product full stop in 2017. I absolutely love this serum, it does everything it promises and more. Forget primer, put this under your makeup and you will see the difference. I used this twice daily, once before my makeup and once before bed, my skin was constantly hydrated, moisturised and plump. I always thought setting brow gels were a bit of a fad, to be honest, and that I didn't really need one, but that was until I tried this Benefit setting gel and oh my, my brows are never done without it. The invisible gel sets your brows without making them look dried out or leaving a layer of clear paste over your brows. The brush is really precise and well shaped too so you can really get a great finish. This has been my go-to matte lipstick this year, and the colour 'dead lips' is just the best everyday shade from the school run to cocktails with friends, this shade has seen me through this year. I finally got my hands on this mascara in December but it has 1 million percent been the best mascara I have used this year. I don't use it for my bottom lashes because it is a heavy duty mascara and isn't right for a bottom lash finish. For the top lashes though this mascara is the best when you're in a rush which is me 90% of the time. This mascara will wake your eyes up on a Monday morning. In 2017 Hoola became my holy grail bronzer, my sister bought me a Benefit gift set for my birthday in May and I have been in love ever since. If you love the bronze Kardashian contour, this bronzer is your best friend. My go-to eyeshadow palette of 2017 was the Morphe 35OM by a mile, the range of shades is unbelievable. The amount of high-quality eyeshadows you get in this palette for around £25 is absolutely amazing and so affordable. My highlighter of the year has to be the sleek solstice palette. Not only is a really affordable highlighting palette, I have never received so many compliments with any other highlighter that I have worn. I go through so many bottles of this stuff because it really is the best affordable moisturiser out there, in my opinion. I suffer from a skin condition called Keratosis Pilaris and if you have this you will know that it's a nightmare especially when it flares up. This moisturiser really reduces the amount of redness and flare-ups on my skin and leaves my skin feeling so soft. This product has been my hair saviour the past year and always makes my hair feel amazing. I use this just before I blow-dry my hair after a shower on the ends of my hair, you only need to use one pump for great results, so it lasts ages too. This product has been discontinued on the high street but you may be able to find it on Amazon and other independent retailers. What was your favourite beauty product of 2017? 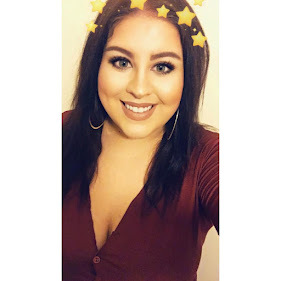 Leave me a comment below or come say hello on social media! Thank you for sharing! A nice list to buy.